Ask any amateur baker what their biggest concern is, and I’m willing to put money that their answer won’t be about traumas with leaden sponge cakes or temperamental macarons. It’s cake tins. Not the ones you actually bake stuff in (that’s a whole other discussion…) but the ones you lovingly put the fruits of your culinary labours in for transportation to the lucky recipients. Good cake tins are surprisingly hard to come by. Every Christmas I’ve seen fights break out over who in the office gets to keep the tin once the traditional Roses chocs are eaten. 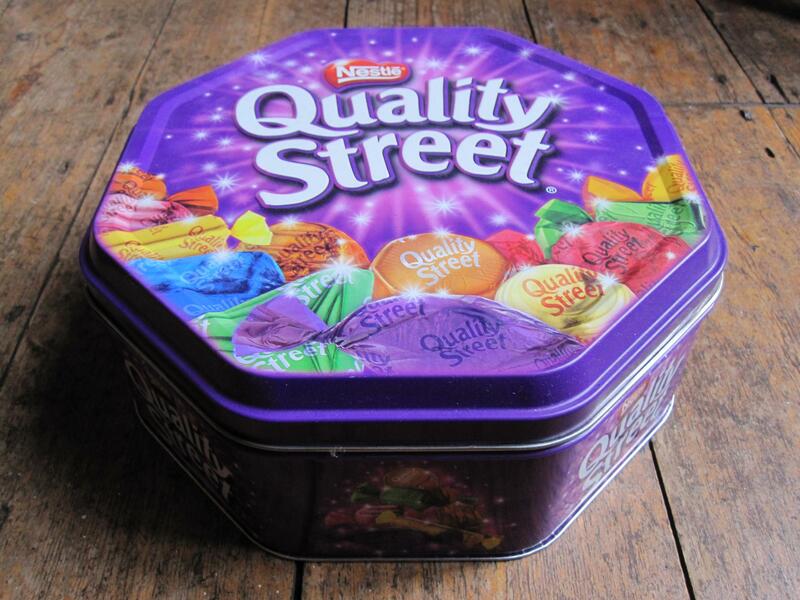 I lost a treasured tin at a recent gig – that’s occupational hazard of baking cakes for the audience, I guess. And when I sent a tin of cookies along with my boyfriend to his workplace, the tin never came back. Despite my repeated requests for its safe return, like a closed community hiding a criminal, nobody apparently remembers ever seeing it in the first place. The biggest dilemma for me is what to do if you’re baking cakes as a gift and can’t hang around to rescue the tin. Do you leave the tin with the recipients in the vague hope that they might remember to give it back next time you see them? Or do you just write it off, mourn the loss, and sharpen your nails for the battle for the next Quality Street tin that appears on the office filing cabinet? My twitchy paranoid vigilance has only increased since I bought a Cupcake Courier for taking cakes to gigs. I’m now terrified that some low-life bakery/music fan will swipe it while I’m on stage, and I’ll have to go back to dragging around piles of battered tins filled with squished cakes. So here’s a question for all the bakers out there – how do you transport your goodies? Are you obsessive about your tins? And how far would you go to nab a new one? This entry was posted in Cakes etc, Comedy, Writing. Bookmark the permalink. I’ve got three tins at the moment, all proper cake tins too. Really must rescue one from downstairs though. I tend to hope for the best, and this has worked. A friend kindly took care of my cake tin when I left it with her in July and returned it to me the next we met in August. Sometimes I just buy cheap tins to hand out. Good idea – I never seem to find nice cheap tins though. My sis gave me some lovely ones for my birthday and I don’t let them out of my sight! I did buy some cardboard cake boxes a while ago for a cake and some cupcakes as gifts, because I wanted them to look really professional. Maybe that’s the only solution? Ooh, this should have had a trigger warning on it ! I still mourn the loss of my fancy cake tin, that someone stole from a hidden spot behind my desk. It was part of a set that someone bought for me from the National Trust and it put me off baking for work colleagues for ages. I finally put a brave face on it, and bought a set of three from John Lewis, about a tenner ? Easy to clean, but they do tend to dent slightly. And yes, I’ve been involved in the work fights over cake tins. I got the much coveted M&S biscuit tins two years running, and my colleagues actually complained that it wasn’t fair. I mean, it’s not like I deliberately hid all the Post-It notes in the office so that no-one could tag them… I’ve still got those two and they’re great for square baking (loaf cakes, tray bakes etc). I’m sorry for dredging up the painful memories 😦 It does go to show that cake tins are a highly charged issue! Yes, and yes! Bought Roses at Christmas instead of Quality Street as the tin is better, but really should have gone for celebrations as it is a plastic version and therefore dishwasher proof! Sad I know. Where did you get the cupcake carrier though, I’ve only found those ones on American shopping sites, but no English ones? I’ve also just discovered this page: http://www.cakescookiesandcraftsshop.co.uk/acatalog/Cookie-and_Cake-Boxes.html I’m doing cupcakes for my wedding and will probably pack them in cardboard boxes rather than the Courier in case it gets lost! No worries – hope you find a solution!